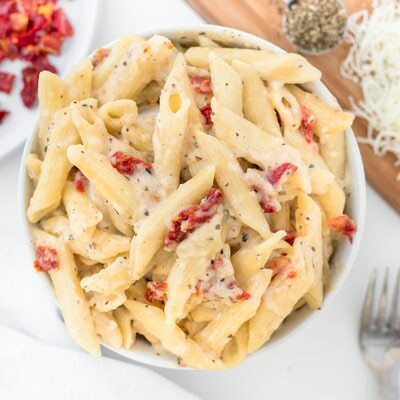 Mac & Cheese is a standard favorite, but we have mixed it up with this Penne Pasta with Sun-dried Tomato Cream Sauce recipe. We’ve made traditional cheese sauce with Carnation Evaporated Lowfat 2% Milk and changed-up the cheese and pasta while adding sun-dried tomatoes for a luscious Mac & Cheese inspired dish. PREPARE pasta according to package directions, adding sun-dried tomatoes to boiling pasta water for last two minutes of cooking time; drain.